Max’s first Retrospective was an exercise in the limits of planning. He shares with us how he prepared for that, and ultimate how it all failed. From that failure, however, came an important lesson that he still applies today. Listen in to learn what Max learned about effective retrospectives after the failure despite the detailed plan for his first retrospective. 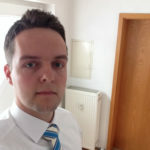 You can link with Maximilian Fritzsche on LinkedIn. Hi Evren, on iOS, please use iTunes. That’s the easiest way to listen. Just type “scrum” or “agile” on the search box for iTunes and it will show up in the first few options.